We launch our eighth year of podcasting with an episode that looks forward to the coming months through divination. Lots and lots of divination! Laine and Cory try out several different divinatory methods (some they’ve used before, and some they haven’t), then break down what they see in the cards, beans, bones, or stones for the year ahead. Plus we do our Magical Object, which seems like child’s play but also has plenty of magical uses, too!. Producers for this show: Heather, Achija of Spellbound Bookbinding, Raven Dark Moon, WisdomQueen, Regina, Jen Rue of Rue & Hyssop, Little Wren, Khristopher, Tanner, Johnathan at the ModernSouthernPolytheist, Catherine, Montine, Cynara at The Auburn Skye, Sarah at ConjuredCardea,The Trinket Witch, Victoria, Sherry, & AthenaBeth. (if we missed you this episode, we’ll make sure you’re in the next one!). Big thanks to everyone supporting us! Thank you to listener Maria, who suggested the Everyday Magical Object of marbles for this episode. Please feel free to send in your own suggestions for future objects! Incidental Music is “Laid Ten Dollars Down,” by the Black Twig Pickers, and is used under a Creative Commons License from the Free Music Archive. Let me first say that I know it would be fairly impossible for me to explain a divination system thoroughly in one post. So this will likely be the first of several posts addressing the use of playing cards as a magical tool. What I would like to do is explain my personal system of card divination, as well as some of the variants and influences which have shaped my practice. I’m not going to dive into an extensive history of playing cards or tarot cards, as those subjects are well-covered and well-documented in other sources. However, a little of the history that sometimes slips through the cracks (especially regarding playing cards) might be worth mentioning here. 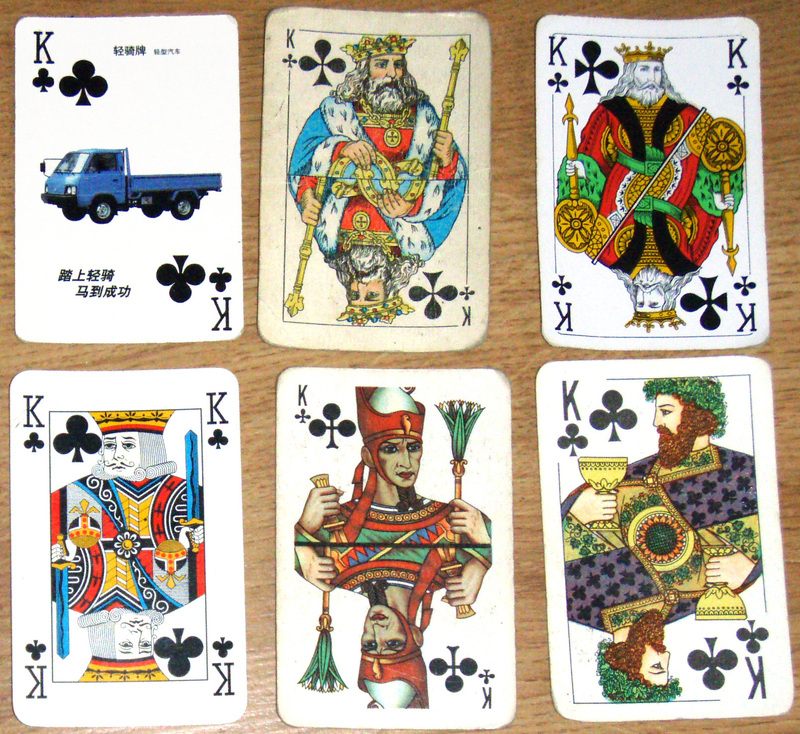 While the absolute origin of pictographic cards is unknown, many folks believe they came out of India, China, or Turkey, or with the travelling Romany people (also frequently called “Gypsies”). 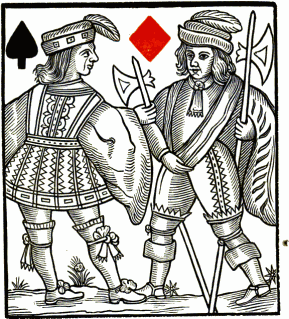 What is known is that by the 1500’s, playing cards were very popular with the lower classes, and often cited as a vice by clerical and governmental documents throughout Europe. They received wide-spread appreciation from the highest ranks, including Bohemian emperor Rudolph II and Napoleon’s spiritual advisor, Madame Lenormand. Yet cards have almost always been popular among the lower classes, too. Cards came to America with settlers, sailors, and soldiers. In fact, in the late 1700’s, a popular ballad called “The Soldier’s Prayer-Book” described the suits, pips, and enumeration of playing cards in terms of biblical metaphor. For example, the fives represent the five wounds of Christ, the nines are the nine lepers healed by Jesus, and the tens are the Ten Commandments. While this song may have been a white-wash for gambling soldiers eager to keep one of the few portable entertainments allowed them, it does register an important point: cards make wonderful tools for metaphoric interpretation. So why playing cards instead of tarot cards? For one thing, playing cards have been more or less easily accessible since the 1600’s, and are versatile. The cards you play a game of blackjack with one day can be used to reveal the future the next. They also travel well in a pocket and are easily replaced if they get torn or damaged. Plantation owners in the antebellum South often thought little of slaves having decks of playing cards to amuse themselves in their few off hours (though in some places stricter masters prohibited them altogether). William Wells Brown, who provided a slave narrative for a character named “Uncle Frank,” claimed that each plantation also had at least one fortune-teller somewhere on the premises, and at least few of them used playing cards. Today, playing cards are an excellent way of divining even in plain sight. No one thinks much of two people over a table full of diamonds, spades, clubs, and hearts, while a Devil or Lovers card might raise eyebrows. My own system of playing card divination is largely based on the book It’s All in the Cards, by Chita Lawrence and the rhyme “For the Witch of Poor Memory” by Dawn Jackson, with a significant amount of additional material I’ve picked up from other books, teachers, and experiences over time. What I outline here will be my own understanding of these cards, so please do not take it as gospel, and find a method that works for you. Like most who practice cartomancy, I break the major meanings of the cards down by color and suits. However, unlike a lot of other practitioners, I don’t ascribe these suits to tarot parallels or elemental attributes. There are some connections, of course, as hearts and cups both signal emotion-based interpretations, but it’s not a hard-and-fast link. Hearts – Family, friends, love, and lovers. Also emotions and things which are deeply felt. Clubs – Work and business. One’s “calling” or destiny. Also conflict, discussion, and debate. Diamonds – Money, luck, fortune, happiness. Also news, letters, and socializing. Spades – Tears, suffering, woe. War, fighting, violence. Also change, warning, and doubts/fears. I’ll get into each of these suits a little more when I break down the individual cards, but this should give you some idea what I see when I do a layout for a reading. If I see lots of diamonds and clubs, I know that someone’s got some good work he or she will be well compensated for coming around the bend. All hearts means that the client is emotionally invested in the reading, or that he or she is dealing with deep family or friendship questions. Spades and clubs together would be a sign that the client’s job might be in jeopardy, or that work is very unfulfilling for him or her. In the next post, we’ll get into the actual significance of particular cards, but it is good to keep the overall meanings of the suits in mind as we go forward. If you have any questions, please ask, and I’ll be happy to answer as best I can (from my own personal perspective…did I mention that yet?). For today though, thanks for reading!